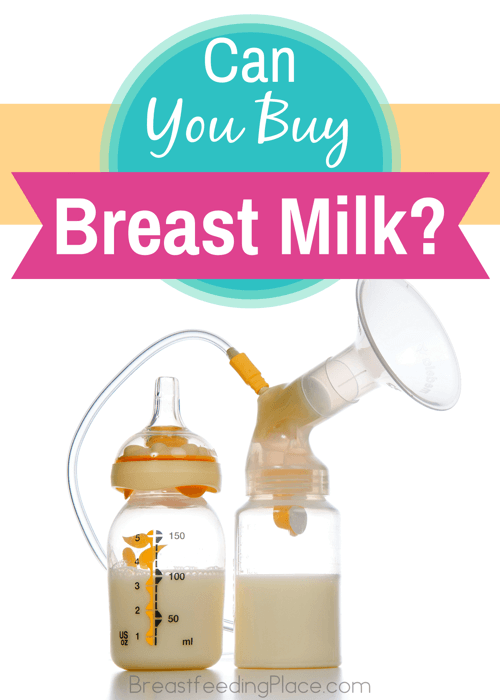 Yes, you most certainly can buy breast milk. Should you require someone else’s milk other than your own (or should you find yourself unable to breastfeed), you can get breast milk from a number of different resources. There are free options, government funded options, and options that can range from manageable to expensive over time. If you find yourself struggling with supply as a nursing mother, consider adapting your lifestyle to allow for a healthy boost in supply. You can even make a batch of delicious lactation cookies to make the process less tedious. If you feel like you’ve dried up too much, you can dry nurse and supplement using a supplemental nursing system (SNS). Dry nursing is the number one way to stimulate breast milk production. Many mothers who went through medical trauma have found dry nursing with an SNS of donor milk to help repair an otherwise broken breastfeeding relationship. You can find women willing to help in your local community. I have a friend on my instagram account who donates hundreds of ounces a month out of the goodness of her heart to a woman she met at her local hospital. She was producing milk, the other mother couldn’t, so she boosted her own supply to accommodate two babies. How cool is that?! You can reach out to your community using your local milk sharing websites. Several are listed here, such as Eats on Feets and Human Milk 4 Human Babies. Some insurances will pay for you to get milk from a breast milk bank. Many insurance companies cover all or a portion of the cost of breast milk while others will reimburse you. There is a list of needs that you must qualify for in these special cases. There are regulations in place to protect those babies who may need the donated breast milk from banks, such as prematurity and metabolic disorders. You can pay full price for milk from a breast milk bank. Sometimes it is a better option for your family. Milk bank donors are thoroughly screened for infections (such as HIV, hepatitis B, and syphilis) and can’t belong to certain high-risk groups (blood transfusion recipients, recent tissue or organ transplants, and natives to certain parts of the world are all ruled out). Donors can’t drink more than two ounces of alcohol per day or smoke cigarettes. Vegans who don’t supplement their diet with vitamin B12 can also be ruled out, so know that milk banks are super safe for your little one. The sticker on that security is about $4.50 per ounce, not including shipping should you not live near a Human Milk Banking Association of North America (HMBANA) approved facility. You can purchase milk directly from a nursing mother. Since women are getting paid to donate to some milk banks, women are taking the liberty of screening themselves for potential donations and offering their milk on other websites. You don’t even have to have a baby to buy breast milk on websites like Only the Breast. It’s an honor system, but people can buy breast milk for anything from premature infants to those gain-centered workout smoothies. (Human growth hormone, anyone?) Only the Breast sometimes has women with free milk, but the average cost is from $1 to $2.50 per ounce. No matter where you get your breast milk, you should be cautious. Articles popped up last year on contaminated breast milk donations, so look into your donor before you commit to buy breast milk. Would you buy breast milk?